All of us want and need to earn money to live. Can freelance writing yield enough income to pay bills? Information on how much do freelance writers make is difficult to track down, but it is one of the things that aspiring freelance writers especially want to know. These days content marketing becomes more and more popular, and so, the demand for freelance writers gets higher and higher. Many people accept writing projects as side gigs, but some have already gotten into the business full-time. There are various reasons why you would want a career in freelance writing. For starters, it is a remote job that allows you to work in your own place and time. Freelance writers are not required to go to an office or go through the daily challenges of the rush hour drive. 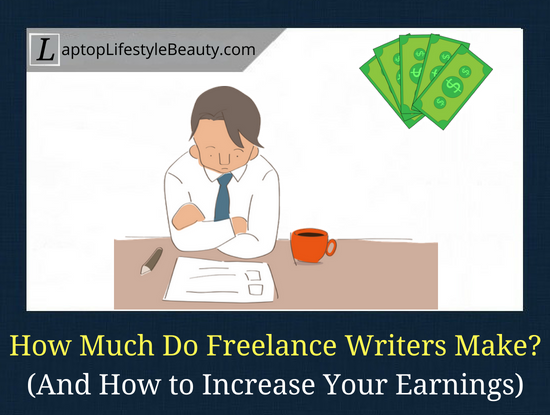 How much can you earn from freelance writing? We can answer this question in different ways. One, very obvious way is through surveys. ClearVoice conducted a survey among more than 500 freelance writers to identify how much they earn based on their experience level. an expert freelance writer has more than 15 years of experience. Among the 500+ participants, 28% of them are beginner freelance writers, 25.5% are intermediate, 21% are professional, and 25.5% are expert writers. Freelance writers earn on different bases—either per word count or per hour. 30% of beginner freelance writers are paid $0.01 to $0.10 per word, 28% of them are paid $0.11 to $0.25, and 25% of them earn $0.26 to $0.50. Moreover, only 20% of them earn $0.51 to $1.00 per word, while 5% of the beginner freelance writers receive $1.00 or above rate per word. Most intermediate freelance writers have a rate of $0.26 to $0.50 per word. 25% of them receive $0.11 to $0.25 per word, 12% receive $0.01 to $0.10 per word, and 17% receives $0.51 to $0.75. Intermediate freelance writers who receive more than $1 per word are only 5% of the 500+ survey participants. The rate per word count of most professional freelance writers is $0.26 to $0.50 and $1 and above. Only less than 10% of them have the rates of $0.11 to $0.75. 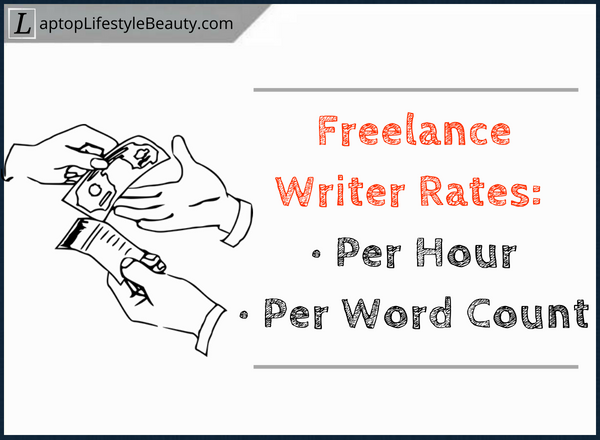 Meanwhile, freelance writers on the expert level receive the rate of more than $1.00 per word. 25% of them receive $0.75 to $1.00 per word, and only a few of them have the rate similar with the beginners and intermediate freelance writers. More than 30% of beginner freelance writers receive the rate of $21 to $40 per hour, and 25.7% of them receive $1 to $20 per hour. Only a very small fraction among the beginners has the rate of $81 to $100+ per hour. Among the intermediate freelance writers, 26% have the rate of $41 to $60 per hour, and 22.6% has the rate of $21 to $40 per hour. If you are lucky, you belong to the 19% intermediate freelance writers who receive over $100 per hour. Meanwhile, 11% of the intermediate writers receive $81 to $100 per hour. Majority of the professional freelance writers has the rate of $81 to $100 per hour, 23% of them receive $61 to $80 per hour, and 19% receives more than $100 per hour. A significant number of expert freelance writers (40.8%) earn more than $100 per hour while 28.5% of them earn $81 to $100 per hour. Only 1.5% of the experts receive $1 to $20 per hour, and 3% receives $21 to $40. How awesome would it be if you earn $200 per hour, and as a freelance writer working in your own place and time, no less? It sounds like a dream, but did you know that it is possible? It doesn’t mean that you can just charge $200 per hour to your prospective clients. How much do freelance writers make depends not only on their experience level but also on the niche that they write in. 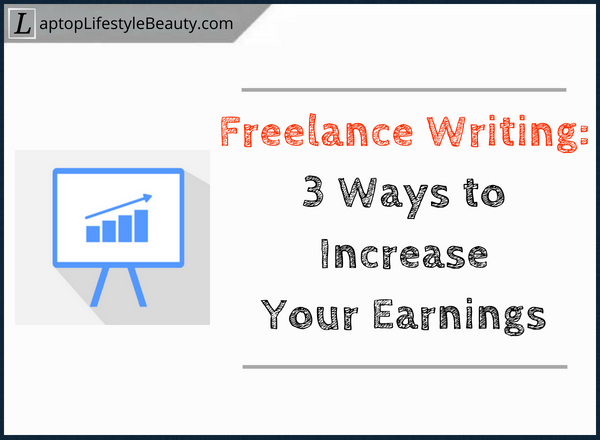 Therefore, even if you are new to the business, you can actually earn as much as the professional freelance writer makes—with the right techniques, of course. Obviously, you can finish more projects when you write fast. Hence, you can earn more, too. This is especially useful when you are charging your clients a per-project rate. You can practice writing the first draft quickly, then go back to edit it afterward. As you do this, your writing improves, and after a few months, your first draft will much likely be your final draft. This statement sounds like you sell your time instead of helping the client with their project. Don’t tell your prospective client that you will spend 5 hours to do the project and don’t mention that you charge $80 per hour. Directly suggest to them that for the particular project, you will charge $400. One of the factors that take too much time is researching for a writing project. What makes it more tedious is that freelance writers spend so much time on it. It doesn’t mean that you produce a low quality work output, but start your project as early as possible. Determine the information that you need, list them down, and see how much time you need to complete the research. Don’t procrastinate. Ramit Sethi provides excellent tips on how to make money as a freelance writer here. Carol from Make a Living Writing constantly shares updated resources here. When you are not happy with the rate you receive as a freelance writer, think about the roads to go down. … are also important factors. 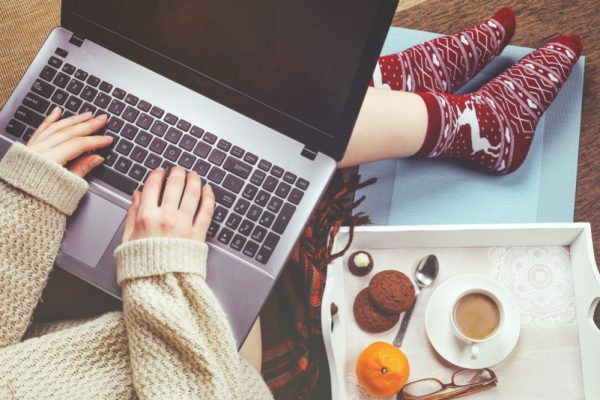 A freelance writing career is worth it and has a lot of advantages, which is no wonder many people do it as a side gig or leave their office jobs and become full-time freelance writers. Anything that is worth having can be challenging. As a beginner freelance writer, your rate may be as low as less than $1.0 per word count or $20 per hour. As you improve your writing skills and experience level, you can earn as much as more than $1.00 per word or $100+ per hour. Keep practicing and enjoy working online, and soon enough, you will reach your goals without even realizing it. What are the tips you’re going to use to increase your earnings? If you have any thoughts, tips or suggestions, let me know in the comments! Click here to jump straight to the comment form.